HEART is a 501c3 non-profit and a creative and adventurous family of artists, performers, and all-around creatives! We are a model for inclusive programs where arts and theatre are used to connect adults (21+) with special needs and their communities. 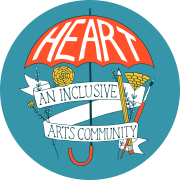 Would you recommend HEART: An Inclusive Arts Community?